If you are a fan of the charismatic and confident President of the US – Barack Omaba, this is definitely the right place for you to become such an inspiration. Particularly, we’re going to show you a great way to make your voice sound charismatic and confident just like him. The software program we chose today is the cool AV Voice Changer Software Diamond 9 (VCSD9) from Audio4fun. *Note: For those who don’t know, you can check out our review for Voice changer Software Diamond at this link. 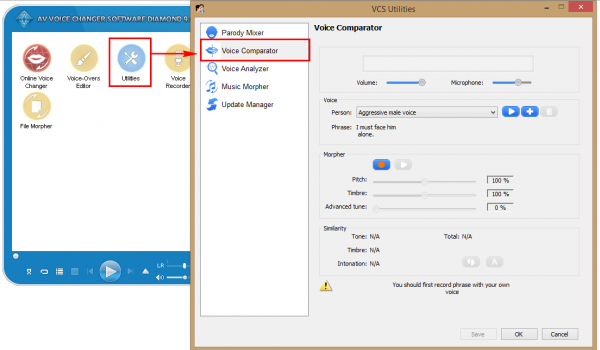 On the left panel, click Utilities to open VCS Utilities window >> Voice Comparator. 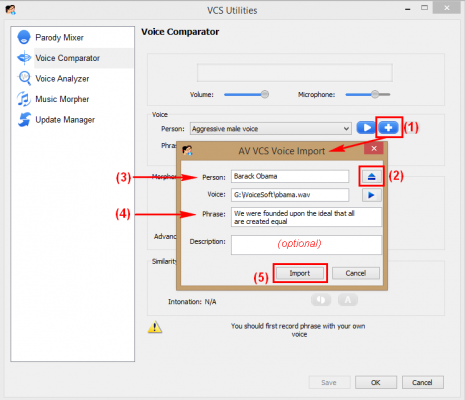 In Voice section, click + button (1) >> AV VCS Voice Import window pops up. 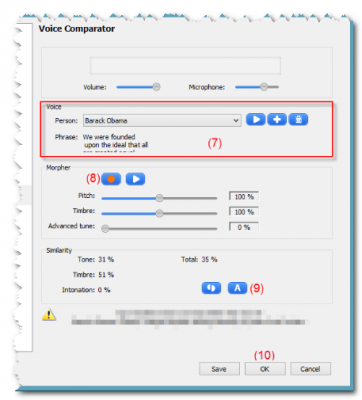 Click Browse button (2) to import the sample voice of Obama’s which you’ve just downloaded in previous step (Wav file) >> the file path is now shown in Voice box. Before your begin this step, make sure you have microphone plugged in and it works perfectly. The process conducted in a quiet room/space is highly recommended! Click Record (8) and read the phrase you typed in Phrase text box above. VCSD9 will immediately process your voice to show how similar your voice is to the sample voice. The result is shown in Similarity section. Click Auto (9) to select the VCSD’s recommendation for most similar parameters >> OK (10). Now, Pitch, Timbre and Voice Morpher modules have been changed according to the settings you got from the comparison step. 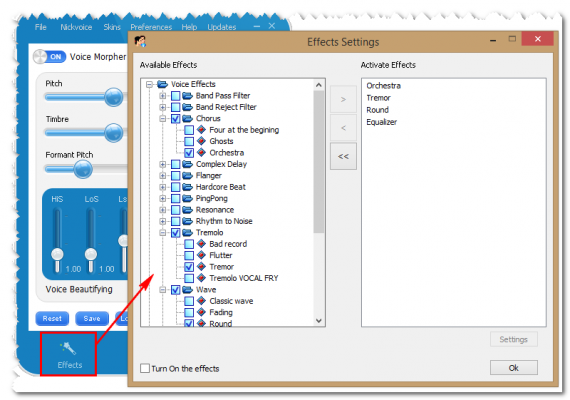 To diversify or make your voice sound more unique, click Effects button and choose any effect you like out of VCSD9’s huge library. This tool is not free for full version. But you will get 30% discount from my Link. Check it out below.